BUILD magazine is delighted to announce the return of our Home Builder Awards. This award programme was created to show gratitude to the innovation of ground-breaking firms, enterprises and individuals across the sector who for years have provided us with our dream homes and safe havens for our loved ones. These are more than just buildings: they are places where we create and share memories, from moving in with a spouse to watching our children take their first steps and inevitably seeing them leave to find their own abode. Throughout our lives, home remains our constant. As the industry moves forward in the face of adversity, we look to recognise the grit and determination of the workmen and women dedicating themselves to the design and construction of our most prized possession. Regardless of whether you provide services or products, you are welcome to take part in these awards and nominate either yourself or an industry peer to go forward to our judging panel. So why not celebrate the success of the industry with BUILD magazine and the Home Builder Awards? The perfect platform to showcase your success. If you know of, or are, someone deserving of acknowledgement for work done, this is an awards programme to be a part of! "It is always an honour when a project receives recognition so for us it has been a pleasure to take part in the BUILD Architecture Awards.The award itself, and the interview format you use, are a great way of promoting our project and our company to potential clients. " "Speaking on behalf Aylaa Exclusive we had a great pleasure working with BUILD, they are very approachable. A fast response and clear communication made our experience delightful. On top of that, we are thrilled to receive an award for Best Commercial Interior Design Boutique - London & the Award for Excellence in Refurb Project Management, we are grateful and happy with our award, a great motivator to work harder! We are hoping to participate in future events that BUILD has to offer." 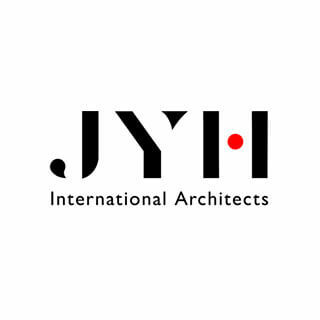 "The Architecture awards have helped to raise the profile of the practice and has given potential and existing clients a certain confidence and belief about what we do and how to do it when they appoint us to assist with their residential projects. The clients of the recently awarded project were delighted to hear the news.When I meet clients for the first time they sometimes mention the award and this is definitely one of the reasons they get in touch and show interest in working with us for their projects. " "Thanks to everyone at BUILD. You have been a pleasure to work with. Thanks for all your support!" "I would like to thank the BUILD family for being very responsive and professional, the award process is well structured. A positive experience." "I was extremely pleased with my experience working with BUILD magazine on an article for their Q1 2018 issue. It's always greatly appreciated when our team is able to review an article before it goes to print to ensure accuracy. I received the utmost professionalism from the BUILD team and look forward to working with them more in the future." "On behalf of VRH Construction, it was a pleasure to work with BUILD and their employees while compiling information for its 2018 Construction & Engineering Awards.We are proud to have received an award this year as the "Best Aviation Construction Firm in the Northeast USA" and look forward to working with BUILD and its employees in the future. " "This was our first experience working with BUILD and it was such a fantastic one! Everything was handled so professionally and with such ease. Whenever we had a question we received a response in such a timely manner. It was an honour working with them and we look forward to working with them again in the future. Thank you so much for making everything so easy on our part!! 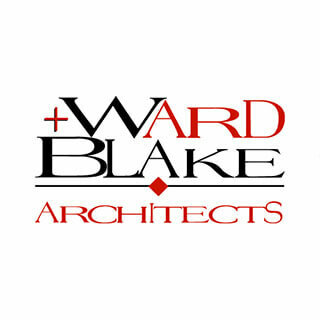 - Ward+Blake Architects"
Nominees are gained via our online nomination form, those nominating are BUILD magazine subscribers, our online visitors, social media following, clients and our wider circulation. Those putting forward nominees are welcome to nominate their own firm, colleagues within their firm and of course third party businesses. BUILD magazine is part of the digital publishing house AI Global Media, the publishers put forward nominees for consideration. All those who formally accept their nomination are asked if they would like to submit material for further consideration as supporting evidence. This is by no means mandatory. Items we consider are the materials supplied by nominees, information on those nominated businesses available online and any information supplied with the original nomination. Our research team, who are highlighted below, will assess all information presented to them. The team gather information independently from a number of publicly available sources, they assess the material supplied by the nominees and by those who put them forward originally. The research team will cast their final judgment based on various criteria including client dedication, innovation, business growth, longevity, online reputation, client feedback and business performance. Once winners have been determined each winner will be contacted directly. Detail of award winners will be embargoed until BUILD magazine make the announcement publicly via the website and award winners’ magazine. To all those who are lucky enough to be selected as winners we offer a number of products and services to assist in gaining maximum exposure for your win, details of which can be found HERE. We also encourage all of our winners to publicly announce their win independently. Announcements via company websites, social media channels, via publicly released press releases, and through local and national press are a great way of really maximising the exposure gained from such an amazing achievement. For advice on how to gain maximum exposure from your win please get in touch, we will be more than happy to assist. Jane is one of AI Global Media’s Directors and is passionate about delivering maximum value for each award winner. Jeremy heads up the research team. He is a conscientious and dedicated team leader and is committed to each one of BUILD magazine’s nominees and award winners. Whilst studying for his history degree, Sam became fascinated by architecture and also gained an appreciation of how infrastructure develops over time. Since finishing his degree, his interest has widened to gain an appreciation of the impact of modern buildings requirements and the importance of historic restorations and renovations for the betterment of both our environment and culture. When did BUILD magazine launch? BUILD magazine published its first issue in 2015 but is still considered to be a relatively new face in the construction industry. Despite its youth, the publication provides a fresh look at the sector as the only globally focused free-to-subscribe construction magazine. Our distributions span a worldwide network of more than 110,000 dedicated and informed industry experts. As a quarterly publication we are less frequent, but this makes each issue bursting with need-to-know construction information. Compiling the latest trade news with featured case studies on the industry’s leading organisations and professionals, the magazine is a comprehensive source of industry information which covers all aspects of buildings, infrastructure and related works. BUILD magazine is one of the many publications owned by AI Global Media, a UK based digital publisher which has published over 200 worldwide publications to its name since 2010. Where did my nomination come from? Nominations are gathered via an online form, in the interest of maintaining high response rates, we do not ask nominees to reveal their personal identity. We frequently nominate candidates ourselves. When it comes to the process of voting, if you didn’t cast a vote by self-submission it is likely to have been cast via a colleague or client who has received one of our direct invitations. Because of the nature of the publication our awards focus on sectors such as architecture and building firms, meaning that when nominations are made, it can either be in reference to the company or a specific project they have been working on. The main ethos of our awards system is that your ability to succeed is not linked to the number of votes received, with the most pertinent belief behind this being that all awards will be received purely on merit. As a means of identifying spam votes and countering cyber-threats, we are constantly monitoring the site for unusual behaviour. If I do agree to be shortlisted, what happens next? As we look to keep maximum focus on relevant candidates, we ask all nominees to accept their position on the shortlist. This also gives people complete control in their decision on whether they would like to move forward with the award. There is no cost for you to be added onto the shortlist or for any of our winners. Nominees who accept will then be submitted to our research team who will then research each nominee. Nominees are given an opportunity to present their own data which gets considered alongside the information collated by our research team. It can take up to 8 weeks for research to be completed. We employ an entirely impartial panel of 5 individuals to conduct all of the research to our high standards. At the helm of the panel we have a veteran academic leader with international academic and training experience. They are well versed in research, fact-checking and mediation. We believe this method is the most efficient in determining which individuals and companies are most deserving in winning an award and has brought us much success and commendation throughout its use. Our continued use of this panel plays a key part in enforcing BUILD’s stance that winners are not determined by popularity of votes, but by their contributions to the sector. Is there a ceremony or award dinner and if so, when does it take place? We do not focus our efforts on a celebratory event. Despite being an enjoyable occasion, it doesn’t support our group’s philosophy of cost-effective marketing. As well as the lack of cost efficiency, BUILD is an establishment which runs awards worldwide and we believe it would be logistically difficult for some of our winners to attend an awards ceremony. We follow the belief that any of the optional costs involved with the award would be more beneficial in a year’s worth of online marketing for a winner, rather than spending it all on a ceremonial evening. All of our press announcements are made digitally, online and across our network to enforce our position as digital publishers. We aim to arm you with the tools (both digital and physical) to generate real-world value. Are there any costs involved in accepting my nomination or in winning an award? As previously mentioned there are no compulsory costs in accepting a nomination or winning an award with BUILD magazine. We do offer a variety of paid additional benefits for our winners, but these are completely optional and merely supplementary to your award rather than essential. To demonstrate our commitment to no mandatory fees, all our winners are offered a free of charge promotional package. Our company policy will always remain: regardless of budget, our clients should always be able to garner the full value of the award and our seal of approval. We offer a variety of promotional opportunities to our winners, as we have an extensive network and we know, more than anyone, the wider business benefits from promoting industry awards.